December 12, 2013 - It's cold outside, so stay warm with this week's Nintendo Download! Dive into the depths with Ecco the Dolphin, soar into space with Galaxy Force II, save Marion in Double Dragon, or challenge your brain in RUSH! There's also so much more! Be sure to check out your favorite digital storefront today at noon eastern for all of this week's updates. Nintendo Download: May 5-11, 2016. Nintendo Download: Week of August 16, 2010. Nintendo Download for September 12-18, 2013. Wow, Nintendo is really holding on to Super Mario Bros. 3, huh? I thought for sure it'd be released today, but....NOPE. Hm. Maybe next week? It'd be kind of ridiculous to wait until the very last week of the year to finally get the game out, but...whatevs, I guess. Is this one of the first times a game has released on both VC's on the same day? Europe got Wii Party U digital, Wii Fit U Quick Check (not sure what the advantage of this is over the digital version) and Link to the Past this week. Ours is less exciting. Wario's Woods did as well a couple of weeks ago. Anyone played Galaxy Force II, here? Is it as fun as it looks? All I can say is, Galaxy Force will make your eyes melt. Loving the eShop's new, christmassy outfit and tune. Rush seems pretty cool, and it's at an excellent price, just like the rest of Two Tribes' games, but seeing the trailer just makes me miss Chu Chu Rocket. I've played the Wiiware version. It's good! Easy on the eyes and good music, too. Double Dragon 2, not 1!!! Come on!! It's similar. Not quite as good, but a solid game. I played a good bit of it on WiiWare (and now will finish it on Wii U). So, I played the demo of AeternoBlade. It's got the look of a mid-tier Dreamcast game (and similar-feeling gameplay to boot) and some PSOne-era FMV, that for some reason reminded me of a mix of Final Fantasy VIII and Final Fantasy IX. The gameplay is pure action hack-n-slash for the most part, with some time manipulation puzzles thrown in. 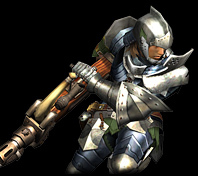 The titular blade can reverse and stop time, not unlike the Dagger of Time from Prince of Persia: The Sands of Time. So what was mostly mindless 2.5D button-mashing became something kind of fun and different from what I expected. The characters seem stilted and kind of lifeless, and the dialogue is a mix of psuedo-fantasy talk gibberish and just straight-up text from an instruction manual. The story so far was also kind of trope-y; a demon attacks a village, a sole survivor from the village seeks revenge on said demon, comes across a magical blade, and the adventure begins! Overall the puzzle weren't too difficult, but it did take me a minute to figure some of them out. The controls aren't exactly precise, sometimes there seems to be some lag between input and actual response on-screen. And some of the main character's attacks will start an auto-animation, which will first have to be completed before you are able to move again. So hopefully an enemy projectile isn't coming to hit you during the animation, because there's no way to avoid it. Thankfully, the time-reverse powers can alleviate that a bit, but I still feel the controls could have been tighter. Having said all that, I can't tell if I hate it or not. I certainly don't love it, but there's something oddly charming about the game. Despite this being a new game (or at least one I've not played before) I'm getting an odd sense of nostalgia for it. Those Dreamcast graphics, the PSOne FMV sequences...the kind of seemingly poorly translated dialogue/hammy writing...all reminds me of games from the late '90s and early '00s. And for better or worse, I've such a soft spot for that era of gaming. I dunno, I'll probably pass on this game, as I've got a ton of other stuff crowding my gaming time right now. (I gotta catch 'em all!) But I'll have to keep an eye out for a sale or something in the future, when I'm feeling the need for such a game, and there aren't as many titles I want to play. Did anyone else try the demo? Tried it just now, and it didn't exactly blow me away. It doesn't seem all that bad, but not interesting enough for me to get it before the tons of other games I'd like to play (then again, I'm not the biggest hacker-n-slasher out there). Like you mention, the canned battle animations makes things feel imprecise, and the entire game seems to lack polish. Also, for some reason, I experienced disproportionate amounts of ghosting with it, especially the bloomier parts of the graphics. This was a Kickstarter thing, right? Was it supposed to be going to Wii U? Yeah, seems you and I see this the same way - the game lacks polish. Yet at least for me, it's kind of charming because of that. I have no idea why though. Either way, I'm passing on this for now. I think there was a kickstarter or something similar going on with this game. It was originally intended for 3DS and PSVita, with "stretch goals" of a release on PS3/360/PC and yes, Wii U. 3D Galaxy Force II is pretty damn amazing. If you have to get one Sega 3D arcade classic, it's this one. Did your eyes not melt? How did you eyes not melt? Tell the others how, because I'm blind now. Here's the review for 3D Galaxy Force II. Nice review, Gui. Glad to hear M2 has done such a great job with this classic. I think your headline speaks to me... I probably only will get one 3D classic, and this is gonna be it!